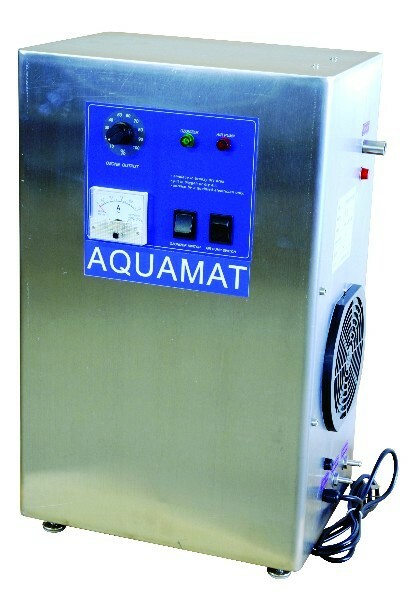 Water Sterilisation is done by Aquamat units which offer Ozone and UV sterilisation. The Ultra Violet Sterilisers are used in applications where chemicals and other media are not suitable for the use of water treatment or Purification. They work by deactivating pathogens, killing bacteria and also leave no residual product. 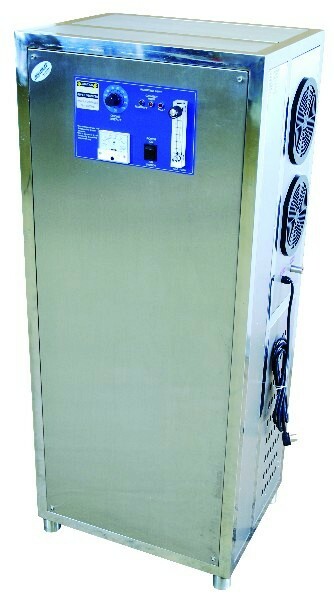 The Ozone units Sterilize and disinfect water by killing all germs and bacteria without chemicals. These units require minimal maintenance and are easy to use. Most importantly they are 100% safe for drinking water preparation. Aquamat provides Ozone and UV sterilisation combinations with single, double or triple 10’’ or 20’’ Big Blue in line filters. 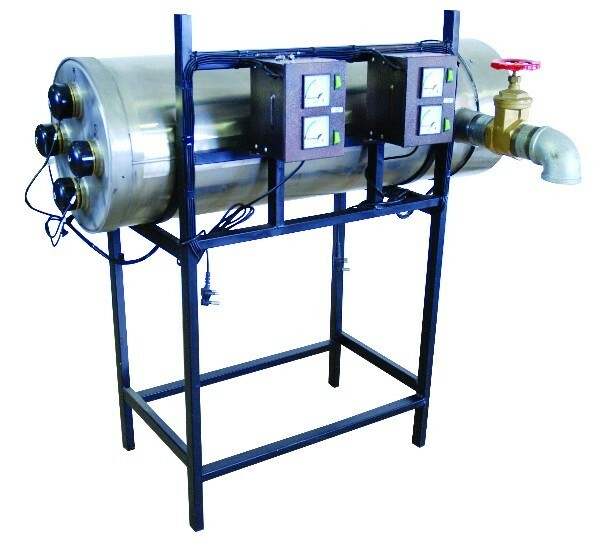 Available in various sizes and capacities for more Ozone delivery and Litres per hour water production. Suitable for Horticultural & Hydroponic water supply. Dairy & Chicken farming water supply. Ice production, swimming- pools, spa’s, etc. Low maintenance & easy to use! 100% safe for drinking water, bottling, etc. O3 sterilisation used for fast sterilisation in the food industry, dairies, bottling plants and many more, where chlorine is not desired. 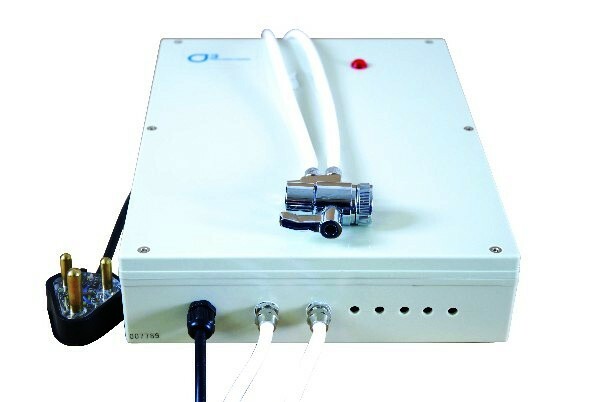 Produces 1 gram Ozone per hour. 180 - 240 Litres per hour. Ultra Violet sterilisers are used where Chlorine or Ozone is not desired. Stainless steel standard units from 3 000 litres per hour to 36 000 litres per hour available. Also used with bottling plants, chicken farming, dairies, etc. 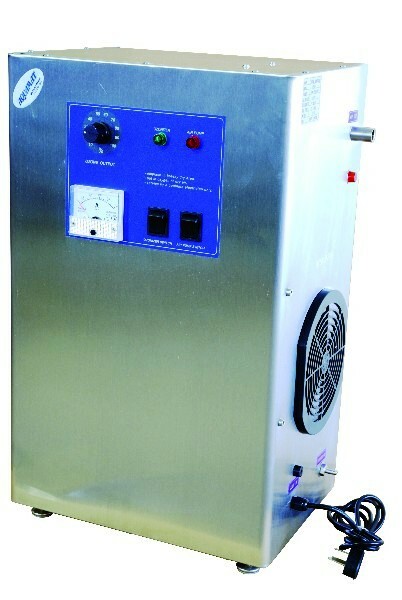 Ultra Violet sterilizers are used where Chlorine or Ozone is not desired.